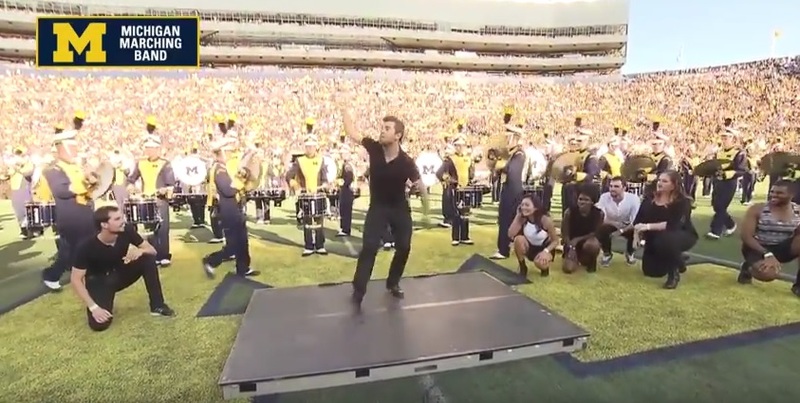 If you happened to be one of the lucky fans at the Michigan football game this past weekend you probably didn't realize that you were going to not only see a big win, but also one of the best halftime shows of the year. The Michigan Marching Band teamed up with their fellow students from the school of music and theater to put on a major broadway themed show full of tap dance battles, steel drum lines and live singing and dancing by the theater students. Let's just put it this way, you will absolutely LOVE this. Share so all broadway and marching band fans can enjoy this wonderful performance.